Greg has always had a passion for music and has always enjoyed sharing that passion. As a youngster, if Greg found a new band or song that he liked he couldn’t wait to share it with his friends. He is still that way. He can’t wait to come into the studio and share the music that he loves with the KRVM listeners and hopes that they’ll enjoy the music as much as he does. His earliest musical influences came from his older sister (Beatles and Rolling Stones) and his older brother (Cream, Jimi Hendrix, Led Zeppelin and the like). Greg moved to Eugene from California in 1987 chasing a promising career (which Greg admits he is still chasing). He soon discovered KRVM and became hooked on “Breakfast with the Blues” immediately. He was lucky enough to land the Thursday morning BWTB spot for several years. A few highlights for Greg during his time as a blues DJ was doing “live” interviews on KRVM with Charlie Musselwhite and Savoy Brown founder and one of his guitar heroes, Kim Simmonds. Another highlight was getting to emcee and perform on the Broadway stage during the Eugene Celebration. Other than music; hobbies for Greg seem to be a moving target. Currently, he likes to ride his bicycle whenever he can. He takes a backpacking trip with his son every summer and Greg and his wife are redoing a small vintage trailer for weekend getaways. And his “empty nest” dogs get a lot of his attention. Now you can find Greg on Monday nights from 5:00 PM – 7:00PM on 91.9 KRVM. His show is called “Vinyl Revival”. There is a sweeping renewed interest in vinyl records. New vinyl record sales are the highest they’ve been since 1988 and projected to continue to grow. 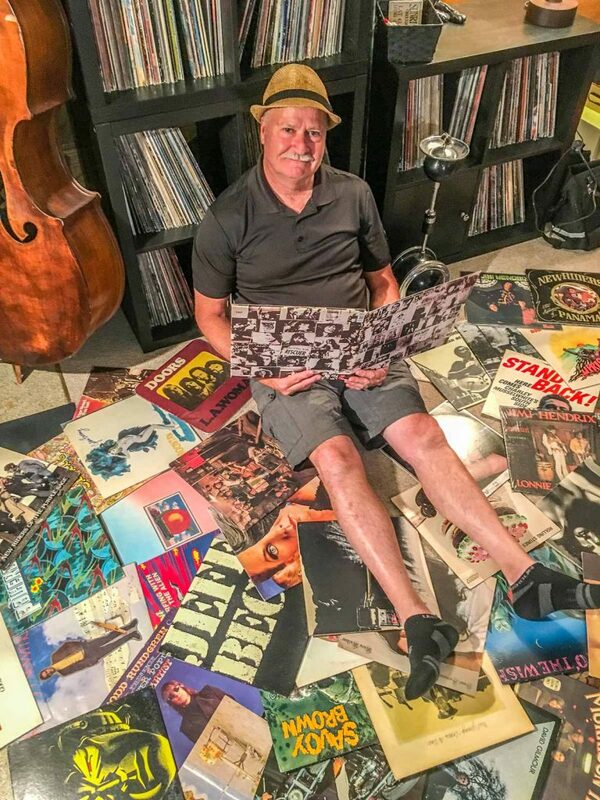 More people are putting vinyl records back in play and Greg wants to be a part of the movement.